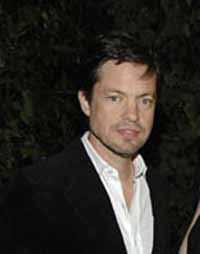 Nicolas Berggruen, a 46-year-old American, owns a three-billion dollar fortune. The most interesting thing about this man is the fact that the general public does not know anything about him. Furthermore, he is officially a homeless man. Berggruen says that he prefers to live in hotels. When he made his billion-dollar fortune on investments and media business, Berggruen began to lose the interest in acquiring material values. Real estate, cars, works of art, jewels and other valuable things have become a burden for him. The billionaire started selling his property: apartments in New York, a villa in Florida. He intends to sell his last vehicle in the nearest future too. Berggruen is not married and has no children. He plans to leave his fortune to charity by setting up a special foundation. In addition, Berggruen will bequeath his valuable art collection to a Berlin museum. Nicolas Berggruen says that he has no place where he could keep his paintings because he has no home. “Everybody is different and I think that we live in a material world. But for me, possessing things is not that interesting. Living in a grand environment to show myself and others that I have wealth has zero appeal. Whatever I own is temporary, since we’re only here for a short period of time. It’s what we do and produce, it’s our actions, that will last forever. That’s real value ,” Nicolas Berggruen believes. It is worthy of note that Berggruen tries to avoid communication with reporters. He also does his best not to let his name appear in newspapers and magazines. When a Dutch magazine published an article about him, the billionaire simply bought all the copies of the magazine and destroyed them. Nicolas Berggruen is not alone in his noble deeds. Passion for philanthropy and demonstrative denial of material values has become a current trend of modern-day billionaires. Russ Alan Prince, who owns a firm that tracks the habits of the rich, believes that modern billionaires think about how they are going to be remembered after their death. Some of them realize that if they want to do something then they have to do it now, otherwise they will not have any time for it afterwards.